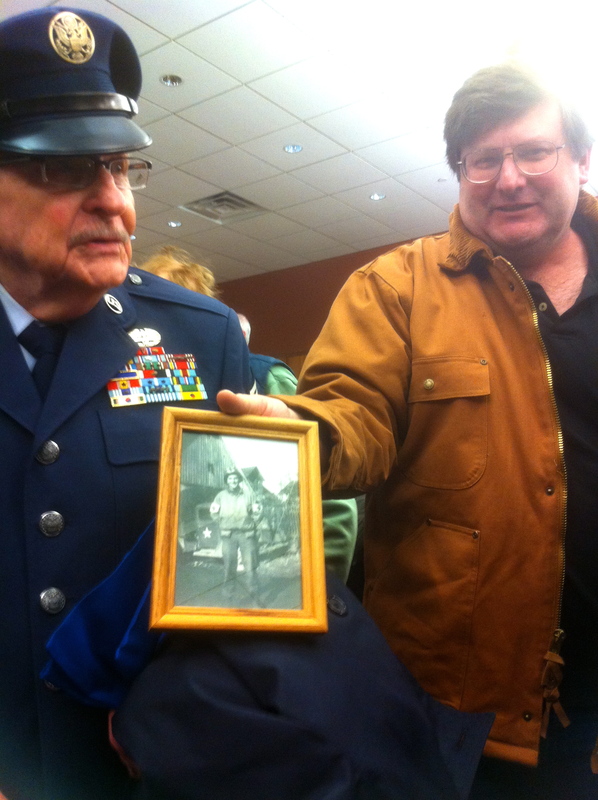 More than thirty World War 2 veterans were the heroes at a Pillars of Honor program hosted by Elgin’s Gail Borden Library. Family, friends and community members gathered to show respect for these local men and women, former Army, Navy, Air Force and Marines. Frances Mai-Ling, an alternative-classical pianist, set the mood performing original compositions. The packed room enjoyed period songs before a mixed branch color guard presented the colors. Guest speaker Lt. Kevin Milligan, US Navy, thanked the vets for their service and shared stories from his four tours overseas. 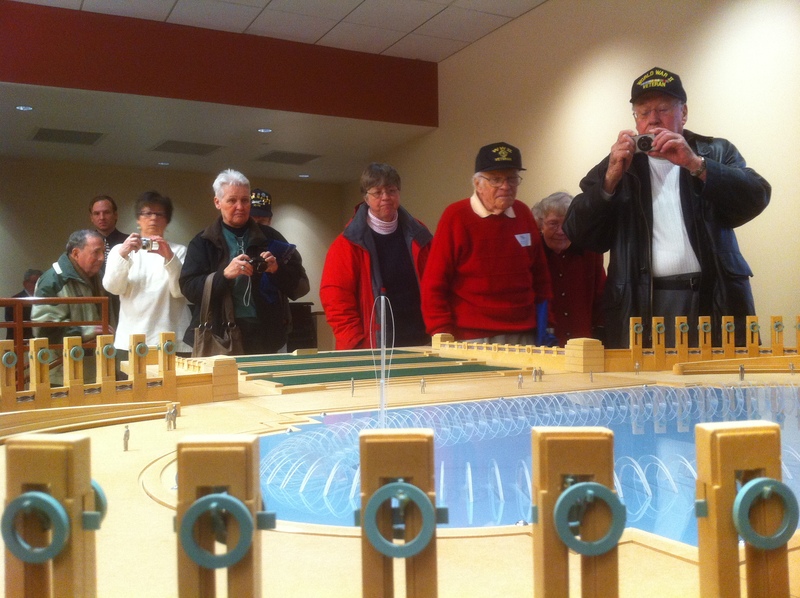 On display was a scale model of the World War 2 Memorial on the mall in Washington DC. This is the original model Senator Bob Dole presented to Congress to gain approval for the memorial. Many of these veterans are unable to travel to the memorial and the Pillars of Honor program brings the memorial to them. We met Retired Army medic and author Jessee Dye. 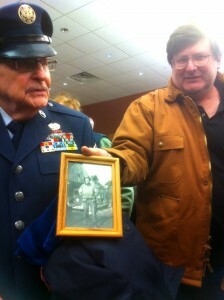 His son showed us a photo of his Dad back when he was a medic in Europe. To date, fifteen Pillars of Honor programs have shown appreciation for our vets with plans to continue at least one a month. Follow Pillars of Honor on Facebook for details on upcoming programs.